HwangYoung was selected at 9 weeks of age for his clean red coat color, awesome black skin pigment, and moderate angulation. Although sold as an import, it was later determined that he was born in the U.S.
HwangYoung would be an ideal dog for someone who has a soft hand at training. He is expressive with his entire body and is fairly submissive to people. Part of this submissiveness may be due to how he wasn't socialized before being selected. 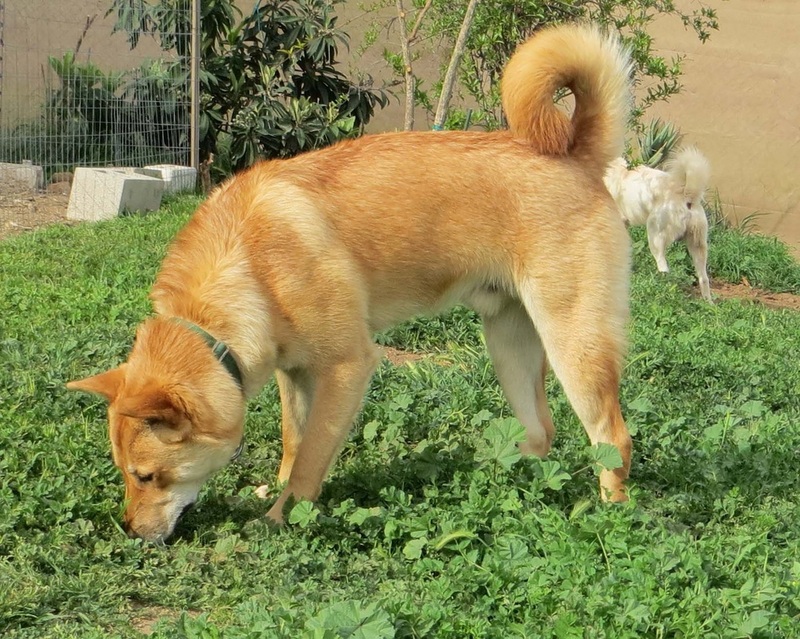 He has already gone through the typical Jindo phase of figuring out his order in the dog pack, and now he lives peaceably with all the dogs in the home as long as there is no female in heat. He plays very well with JinHo, who is also an intact male. HwangYoung's strength as an adult is in his fundamental structure. I envision him as complimenting a line that may be a bit weak in structure but stronger in headstyle. UPDATE: Oct. 2014: HwangYoung was discovered to have cystinuria on Oct. 2014. This is believed to be an autosomal recessive disease. He will not be used for breeding in our breeding program. Entered first UKC show. Ranked on UKC's 2013 Top Ten. 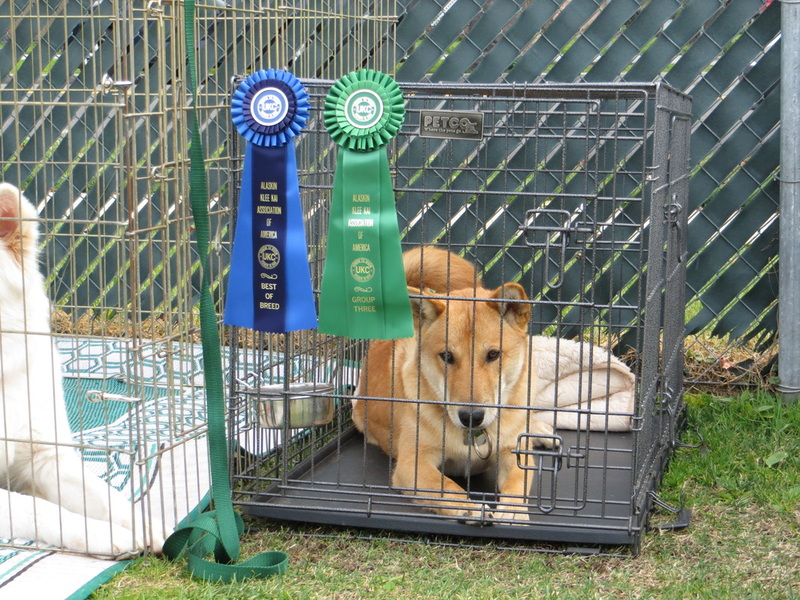 Completed Beginners I at Hidden Valley Obedience Club (HVOC). Completed Beginners II at Hidden Valley Obedience Club (HVOC).